“Obviously I have never tried a Stradivarius, but the magical sound that comes out of your cellos, especially the Liebestod, makes me wonder how wonderful it will sound in 200-300 years! I also wonder what are the secrets behind your wonderful instruments. Is it the wood, design craftmanship or the varnish? 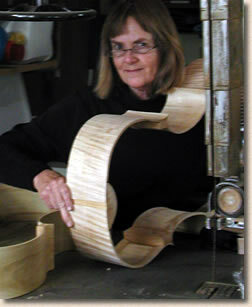 Since 1970 Anne Cole has created custom violins, violas, and cellos with an original concept of tone. Her instruments, one-of-a-kind works of art, combine playability and response with tonal warmth and power. 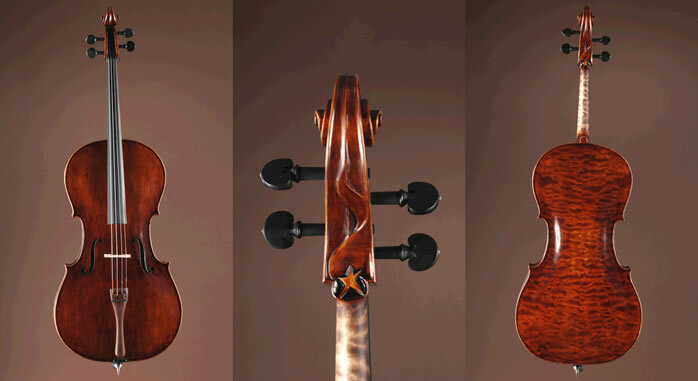 Beautiful instruments, inside and out, each and every one of Anne Cole’s instruments bespeaks an exceptionally high level of attention to detail not only to quality of sound, but to physical and visual beauty as well. Anne specializes in concert-caliber violins, violas, and cellos with rich, powerful tones and a characteristic fullness in the lower registers. She has made over 200 instruments, including many currently used in symphony orchestras, chamber ensembles and other professional venues.